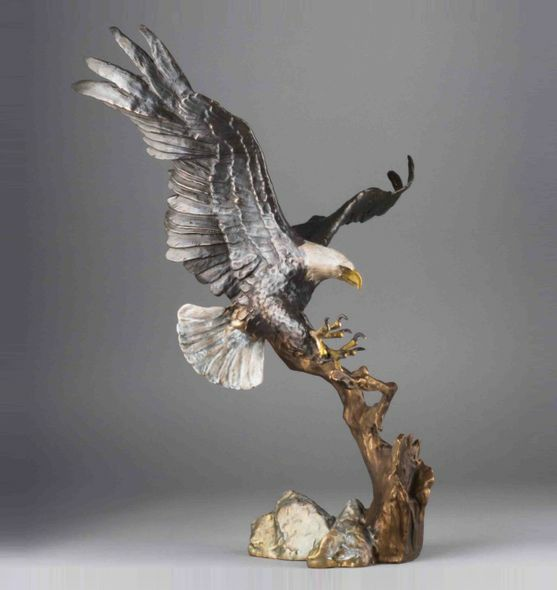 Mark Hopkins Limited Edition Bronze Sculpture:"Spirit of Liberty"
About the Artist: Mark Hopkins is considered one of the premier sculptors in the United States today. From tabletop sculpture to monuments, his work is displayed in homes, offices, and public settings around the world. Mark Hopkins' work is in everyway, a reflection of its creator. It reveals Mark's total fascination with nearly every conceivable aspect of life: from history, children, sports, music and religion to wildlife of the land, sea and air. With a style so flowing and alive it has been called "bronze in motion," the work is as passionate and expressive as the artist himself. 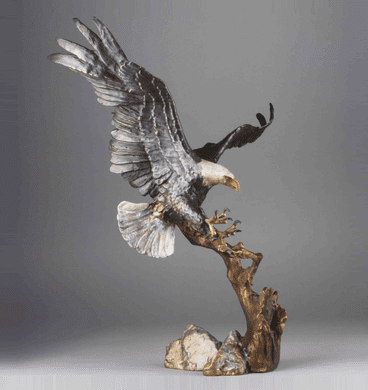 In addition to his skill as an artist, Mark made himself a technical expert in the art of "lost wax" bronze casting. At the Mark Hopkins Sculpture foundry, Mark monitors the casting process, insuring that the integrity of his work is maintained throughout its creation in bronze. With the help of many talented craftsmen, Mark endeavors to establish an enduring legacy of high-quality bronze sculpture. Mark Hopkins constantly challenges himself to translate the richness of life and nobility of the human soul into enduring sculptural form. In his words, "I strive to express beyond the image, to catch spirit, to reveal deeper emotions, and to share joy." As he continues to rise to that challenge, his work is attaining an honored place in the history of art.